The Magnolia Duchess is the third installment in author Beth White’s Gulf Coast Chronicles. I had the privilege of reading book two, The Creole Princess, prior to reading book three. Having read the second book, I still found myself lost in this novel. I am an avid reader of historical fiction and I do enjoy a book filled with historical detail. However, I feel like I may have missed the forest for the trees. I must acknowledge the skill, planning, and writing talent with which Beth White pen’s her novels. White had definitely done her research and included so many historical details in her story of love and war. This story begins with Fiona Lanier discovering a washed up man on the shore. More interesting is the realization that she recognizes him. From here there seems to be a never-ending cast of characters and plot lines. Point of view in the story changes frequently to the point that I wish a full list was provided for the reader. I am just over the moon in love with this book! I have picked a few duds lately and The Reluctant Duchess is just what I needed to pull me out of my book slump. If you are a Downton Abbey fan and like me, your morning the end of your favorite show…this book is for you! This book is definitely in the Downton Abbey era, but it also has a bit of mystery to add to the ambiance. For me, author Roseanna M. White hit a home run with Book 2 in her Ladies of the Manor Series. I honesty had never heard of White when I selected this title to read. I have not read Book 1, The Lost Heiress. The books are connected in the story they tell, but I did not feel lost. I could see there were details of the first book that might have enhanced this novel, but I still LOVED this book! The Reluctant Duchess is the story of the weary Lady Rowena Kinnaird. Rowena has been mistreated not only by her father, but also the man she thought was the love of her life. Her life long companion Lilias comes up with a plan to change Rowena’s future. With the help of Rowena’s father, Lord Lochaber, Lilias arranges for Rowena to meet the Duke of Nottingham. Rowena must get past her terrible memories to find love. Brice (the Duke) has the difficult task of solving a mystery and earning the trust of Rowena. Honestly, so much happens in this book it is difficult to summarize without spoiling the story! My advice to you is to read it! You will not regret it! The Reluctant Duchess is the top of my favorites list of 2016 and I am excited to add White to my MUST READ authors list. I was given a complimentary copy of this book in exchange for an honest review. All opinions are my own and I have not been compensated. The Painter’s Daughter is absolutely marvelous in every way. I loved it from the first page and could not put it down. I have long been a fan of author Julie Klassen. She writes historical fiction full of romance and mystery with all of the drama and loveliness of Jane Eyre. This book was perfection and it has easily found it’s way into my top reads of 2015. 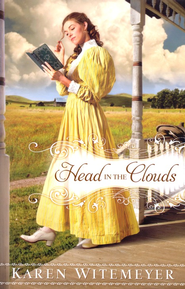 If you love historical fiction, you MUST read this novel! In The Painter’s Daughter, Sophia Dupont finds herself in a most unfortunate situation. The man she loves has left her to find his muse and she is alone and ruined. Sophia carries Wesley Overtree’s child and he doesn’t even know it, for she didn’t have the opportunity to tell him. Wesley’s brother, Captain Stephen Marshall discovers Sophia…and her predicament..on his hunt for his lost absent sibling. Captain Marshall offers to marry Sophia and claim her child as his. She agrees, and her reluctant yes turns into so much more. I LOVED, LOVED, LOVED this beautifully crafted novel. As soon as I am done writing this review, I will read it again. You will not be disappointed with this book. If I could give it 10 stars I would! The Painter’s Daughter is long, but not once was I bored. I skimmed ZERO pages….every single word was worth all the sleep I forfeited. 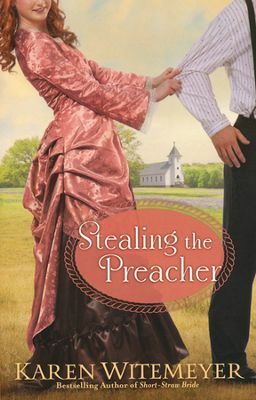 I was given a complimentary copy of this book by it’s publisher, Bethany House Fiction. However, I would have bought it had I not scored a review copy. I never miss a new book by Julie Klassen. All opinions are my own and I have not been compensated in any way. I am over the moon excited to have found this book by author Jill Eileen Smith! I love to read Biblical stories retold and Smith has done a masterful job retelling Rahab’s story. Books of this nature are always my favorite because they encourage me to go back to the Bible to read the account for myself. 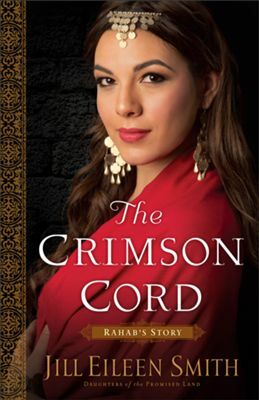 In The Crimson Cord, Smith tells the story of Rahab who was a prostitute. The Bible tells us little about Rahab’s life before we meet her in the Book of Joshua. When they arrive at her home she hides them from the King’s army and gives them a way out. Rahab helped them escape with the promise that they would protect her family when the Israeli army arrived to take the city. This promise was kept and Rahab and her family were allowed to live. Rahab would go on to marry Salmon (Israelite) and is the mother of Boaz who would marry Ruth. Through a fictionalized retelling, Smith imagines what Rahab’s life was before the Israeli men found their way to her home. This book is most definitely a page turner and is by far the best piece of fiction I have read lately. I have never read any of Smith’s books before, so I am elated to find that she has written other titles like this one. If I could rate this book with 10 stars, I absolutely would. It is oh so good! While this story is a retelling of a Biblical account, I would also rate it PG-13. It does have a heavy subject matter and speaks to the misery of prostitution. I would also add that you need not be familiar with the Biblical account to enjoy this book. It is an intriguing story separate from it being a Bible story. I was given a complimentary copy of this book by its publisher in exchange for an honest review. All opinions are my own and I have not been compensated. 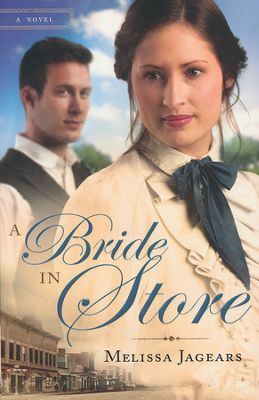 A Bride in Store is the first novel I have read by new author, Melissa Jagears. Judging by this novel, I would be interested in reading her debut novel. This particular story is slow in parts, but still enjoyable. There is even an unexpected and exciting twist I did not see coming. I struggle in rating this book because while it was interesting and well written, I found myself a little bored. 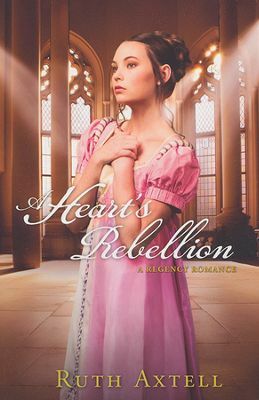 However, if you enjoy Christian Historical Fiction with Romance and a little drama, you will likely be satisfied with A Bride in Store. What I loved about this book is the strong female character author Melissa Jagears created in Eliza. By the way, I adore the name Eliza! Eliza doesn’t back down easy and shows determination not often written into the character of a mail order bride! In A Bride in Store, Eliza Cantrell is headed out west to meet her fiance and get acquainted with his store for which she has big ideas. 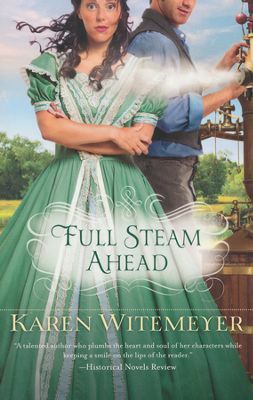 When she arrives early, and Axel isn’t in town, Eliza meets William Stanton and an unplanned friendship and love interest begins. This is a lovely story, it just isn’t my favorite this year. I did like it enough to look forward to other titles by Melissa Jagears. I was given a complimentary copy of this book by its publisher, Bethany House, in exchange for an honest review. All opinions are my own and I have not been compensated.